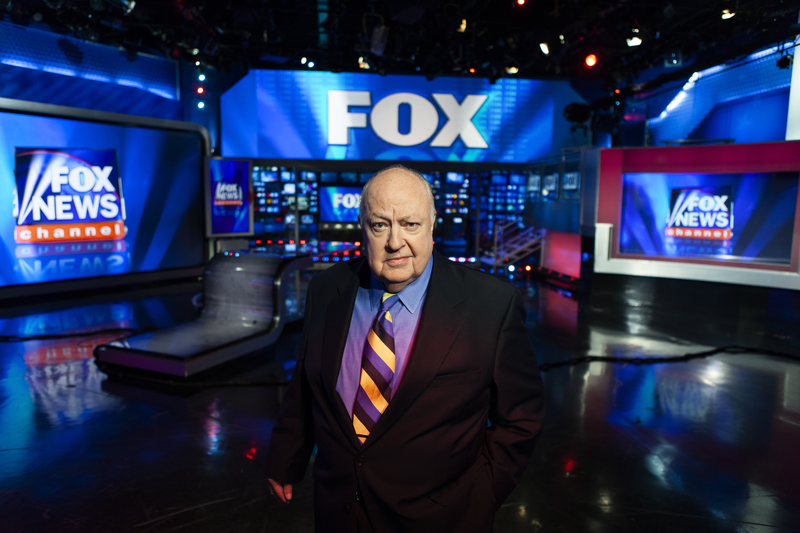 Kristen reviews the documentary Divide and Conquer: The Story of Roger Ailes. The film was a part of the AFI Film Festival 2018 Special Screening Section. It’s amazing to realize this year saw a litany of powerful men, many of whom had ruled over their individual fiefdoms with an iron fist, removed from their vaunted positions over sexual harassment. There’s no doubt that in the coming years we’ll have documentary upon documentary charting these monsters, several of which will probably ask “why were these men allowed to continue for so long?” The first out of the gate is Divide and Conquer: The Story of Roger Ailes, a well-assembled documentary that attempts invade Ailes’ dark heart and lay out the things that came together to get him where he is. At times a bit soft on the things that matter, Divide and Conquer is a fascinating expose of mass media and male entitlement. Divide and Conquer isn’t explicitly about what caused Roger Ailes downfall, nor is it a documentary you’d recommend for the #MeToo movement. Director Alexis Bloom seems more interested in charting the creation of male power in America. Opening with the announcement of Donald Trump becoming the GOP candidate, Ailes is presented as a figure who directly gave us the political divide we see now, as well as being just one man in a sea of many who believe as he does. Bloom charts out Ailes life from childhood, growing up in a Norman Rockewell-esque town and generally believing, like many white men of a certain generation, that mom, dad, and apple pie is the only way to live and we should return to that. It’s unclear that specific intentions, but Glenn Beck detailing how no one sets out to be a monster seems prescient. This is the documentary of the making of a monster, not a monster itself. Bloom avoids overt critiques on white entitlement or masculinity, though anyone watching the documentary will see those on the surface. Like Fox News itself, the documentary attempts to capture a fair and balanced viewpoint, but by avoiding the obvious criticisms that many have discussed over the last year regarding white privilege and toxic masculinity, a lack of viewpoint comes off like an open forum for defense. After establishing Ailes’ childhood and his time on the Mike Douglas Show, the documentary segues into the creation of Fox News itself, which is cited as a “revenge” plot by Ailes after his baby, the news channel America’s Talking, was bought by Bill Gates and redubbed MSNBC. What makes Fox News what it is are directly tied into Ailes’ own history, from its penchant for fearmongering being part and parcel of Ailes own paranoia to his dislike of Clinton fueling the network’s coverage. All of this sets up a news organization that became an early precursor to the blog for its owner. Several former Fox News commentators are interviewed, from the aforementioned Beck to Alisyn Camerota are interviewed, but there’s never a pointed discussion of their own complicity. It’s hard to hear people opine that they had no idea of Ailes’ own issues with women or how the network was intentionally disseminating incorrect information. Yes, the point is that this is Ailes’ story and, at the end of the day, he was the one at the top, but when the film diverges into Bill O’Reilly’s own sexual harassment allegations and the network’s “boys club” feel the preceding moments feel toothless. The final thirty minutes actually get inside Ailes’ downfall and the #MeToo allegations against him. The audience only hears from a few women actually attacked by Ailes himself, and none of the former female contributors are properly asked about their own feelings about the harassment or if they, themselves, were harassed. These final minutes are where Divide and Conquer really become interesting and yet the film breathlessly runs to reach the end. The documentary’s most affecting moment comes in these final minutes, when former model Marsha Callahan documents her abuse at Ailes’ hands. Her story is emotionally heartbreaking, but it’s hearing her say that her son is proud of her speaking out that hits everything. The documentary’s power is in finally exposing Ailes for who he always was. Divide and Conquer is far from the revolutionary documentary you’d expect it to be. It hits all the necessary notes of outrage and will do a lot towards teaching those who aren’t aware of Ailes about him.